Here's a good looking marquee for Mel's Bowl. Here's a shot of the Restaurant signage at the bowling alley. See this bowling alley and more at Roadside Peek's Bowling Alleys Northern California. 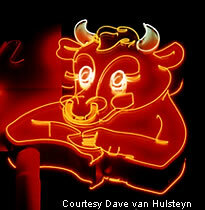 The Holiday Bowl features a cool neon sign with an equally eye-catching bull on its marquee. Stop by the Holiday during the weekend for some Red Bull. Or just stop by during the week to shoot the bull with friends. Either way, you'll leave the place with a glow. 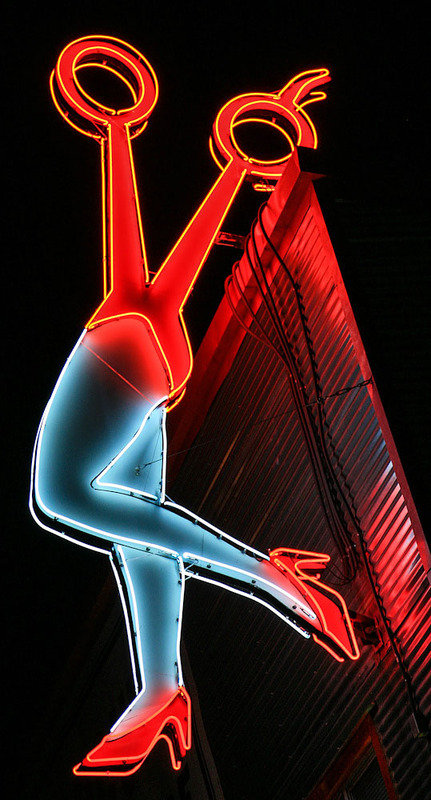 Check out this cool neon sign and others at Roadside Peek's Neon Bowling Alleys Northern California.